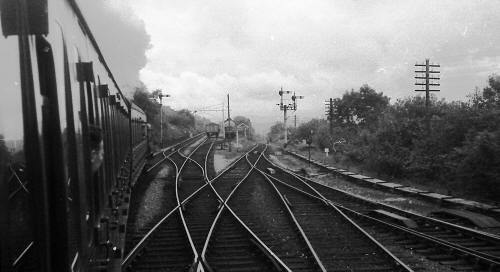 Angus Gwynne tells us "left is Trevor Davenport in the centre is Leonard Wilding Station Master who was my grandfather and on the right is Jim Miller." This signal box was the setting of a BBC sit-com called Davy Jones Locker in the early 1960's. 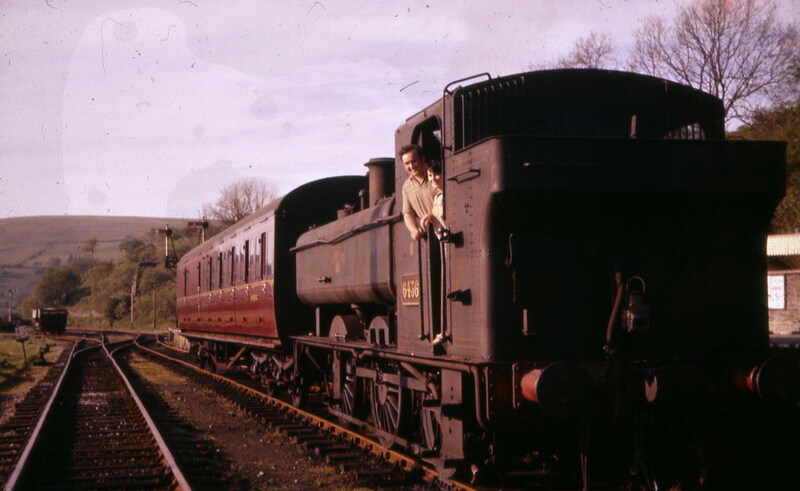 No's 5793 and 4635 arrive heavily laden on a sunny 1950's day. 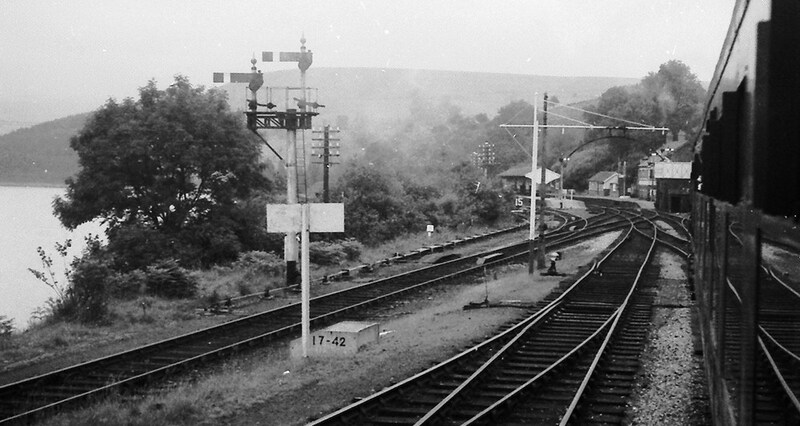 The station was totally closed to timetabled passengers and goods trains on 31-12-1962. 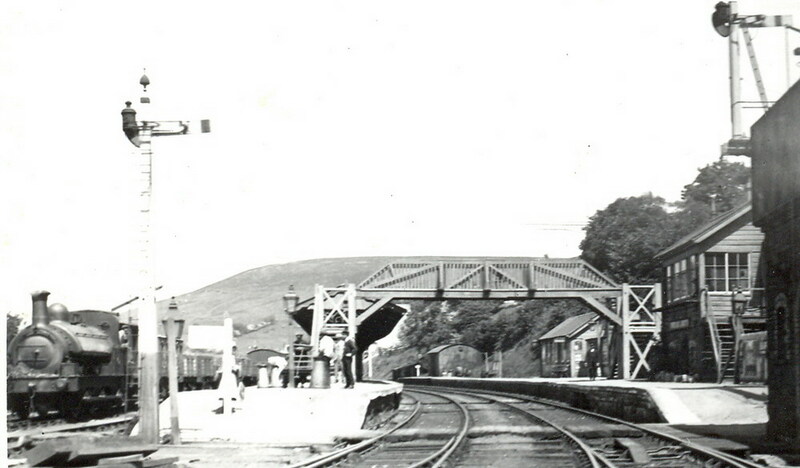 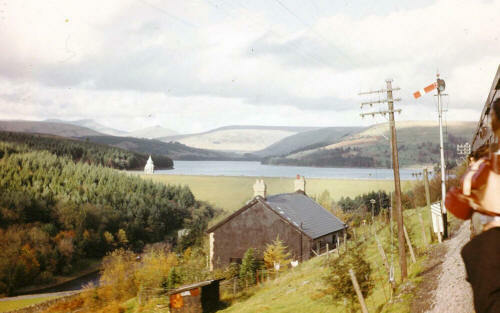 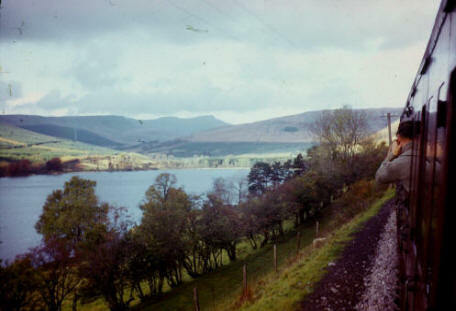 Do you have any photographs or information relating to Pontsticill Station?